For the Liverpool Football Club (Table 1, 82 points), the home game against Chelsea (third, 66 points) on early Sunday night is the last true endurance test in the remaining five league games. Then follow two more home games against the already relegated Huddersfield before on the last day of the carefree Wolverhampton guest in Anfield. Away is for Liverpool to Cardiff, who have never won against a top six team and on the penultimate round to Newcastle with former Liverpool coach and Reds sympathizer Rafa Benitez, whose family still lives on the Merseyside. However, the unpredictable variable in this bill is Manchester City. The Citizens still have a game in the hindquarters, but still have to go against Man United and Tottenham. If City wins all remaining games, Liverpool can do what it wants, and despite a record number of points, only runner-up. For Chelsea it continues to the Champions League participation in the coming season, but there was a month ago in Liverpool at Goodison Park at Everton another away loss. However, Chelsea has already won at Anfield this season. In the League Cup, there was a 2-1 away win. The Blues have never won twice before at Anfield during a season. Last time Arsenal accomplished this in the season 2006/07. According to the bookmakers, this case does not occur on Sunday; this suggests at Liverpool against Chelsea at least the odds. Our tip is different. In Liverpool vs. Chelsea, our prediction is not about a peat festival, but about just one team. In the Champions League, the Reds have already set the course for the semi-finals during the week thanks to a 2-0 home victory against Porto. Liverpool have been undefeated in the European Cup for 21 home games (15-6-0), playing twelve times to zero and conceding only 15 goals. Jürgen Klopp celebrated against Porto his 400th competitive win as a coach. 111 of them he managed with Liverpool (180 with Dortmund, 109 with Mainz). Victory number 399 was also extremely important. 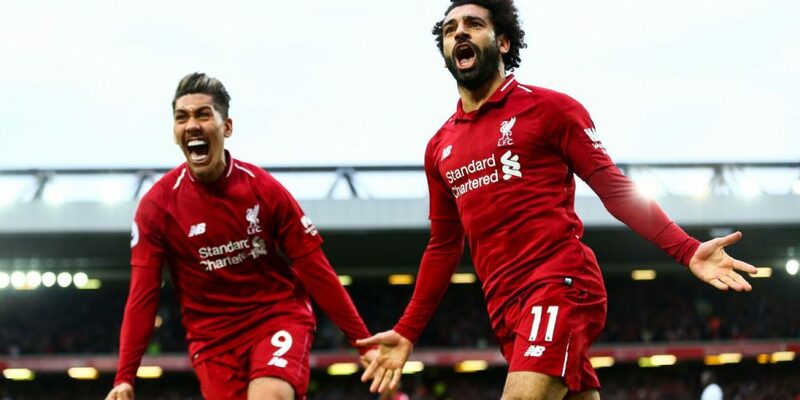 In the Premier League, the Reds celebrated on Friday a week ago a 3-1 away win on the English South Coast in Southampton and could overtake Manchester City in the table and displace from rank one. However, the Citizens are likely to regain the top spot on Sunday at Crystal Palace. Against the Saints, the Reds were early in the game with 0: 1 behind, but could turn as so often in this season the game still. Liverpool scored 16 points behind in the season (Premier League top prize). The Reds have won five of the last six Premier League matches in which they conceded the first goal of the match (a bankruptcy). This leaves Liverpool, who lost in the league this season, unbeaten in 12 Premier League games (8-4-0). In Anfield, Liverpool have not left the pitch as losers since 37 Premier League matches (27-10-0). Only between February 1978 and December 1980 Liverpool remained at home longer defeat (63 games). The record in the Premier League is held by Chelsea, who lost no less than 86 games between March 2004 and October 2008. That just the Blues finish this series seems to be unlikely in Liverpool vs Chelsea, according to odds of bookmakers. At Liverpool vs Chelsea, our prediction recommends giving a tip on “just one team to score”. Adam Lallana is questionable. Alex Oxlade-Chamberlain is out. Chelsea have lost the most recent five away games against the established top six teams, including all three away games this season with a goal difference of 1:11. However, Chelsea was able to win three of the recent four league games in foreign countries against teams that went into the game as the league leaders. Including a 2-0 victory in Anfield in April 2014 (gaffe Stevie G). However, Chelsea has been able to win for the first time since September 2018 three Premier League games in a row. For coach Maurizio Sarri it’s the first Premier League appearance at Anfield. Only three of the last 32 opposing coaches were able to win there on their first appearance (3-5-24): Louis van Gaal (Man United, March 2015), Slaven Bilic (West Ham, August 2015), Paul Clement (Swansea, January 2017 ). His two goals on Monday evening saw Eden Hazard scoop his goals this season to 28 (16 goals, 12 assists). Only in the season 2011/12 Hazard came in the jersey of Lille on more participations in the game (36). The Belgian was thus directly involved in 49 percent of the 57 Chelsea goals (league top value). Despite Hazard is Liverpool vs Chelsea, according to odds of all bookmakers first contender for three points. Liverpool have not won any of the last six Premier League games at home Anfield against Chelsea (0-4-2). Never had the Reds at home a longer losing streak against a league rival. Chelsea has lost just two of the past 16 competitive matches against Liverpool (6-8-2). Both bankruptcies existed in London at Stamford Bridge. The last Chelsea defeat in Anfield was in May 2012 in the Premier League with 1: 4. Liverpool go into the match against Chelsea with the confidence of 37 unbeaten Premier League home games and only one defeat in the current season. Accordingly, Liverpool is against Chelsea according to odds the bookmaker clear favorite for a win. Chelsea lost in 2019 four of the six Premier League away games, conceded 14 goals in the Pleiten and scored even none. The two wins came very happy against relegated Fulham and fast-relegated Cardiff (thanks to the generous assistance of the referee). A Chelsea win on Sunday would be a surprise. At Liverpool vs Chelsea, our prediction is that only one team will score.